Welcome to 2013! The cool thing about living in the Franklin and Otto, NC mountains is that people are truly happy to be here. Driving around town or the back roads --- If you see a car approaching and give them a simple wave....they always smile and wave back. In the grocery store, gas station or restaurants, when you give a smile - you get a smile in return. I've had out of town customers in my vehicle showing property and when I wave to an oncoming car, they will ask ,"Do you know them?" and I say, "No, we're just friendly here." They are amazed. Folks here are just plain generous too! For the 4th year in a row, Patrick Jenkins, with Farm Bureau Insurance, will brave the cold weather for 2 days and nights suspended high overhead in a bucket crane to raise awareness for those in need during the winter. Click on the link above to see Patrick in his perch last year and learn more about this worthy cause. You can help by dropping off canned goods, non-perishable food items, personal hygiene products, paper goods, coats, blankets, etc. All items will be donated to CareNet. Stop by the Farm Bureau office at 1866 Highlands Road anytime between noon on Jan.18th to noon on the 20th to cheer Patrick on, honk your horn or to drop off a donation! BRRRR! He's a dedicated guy! Great news for the higher priced homes as they ended 2012 with a spike in sales. Even in our market, 31 homes sold in the $250,000 and above range in 2012, as compared to only 17 in 2011. 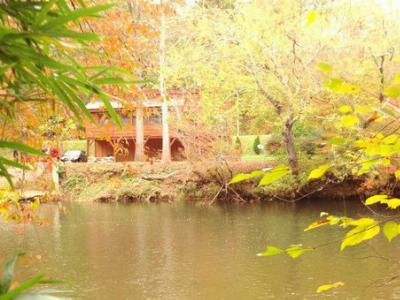 Speaking of luxury homes.....this waterfront beauty on 3.46+/- Acres is amazing! 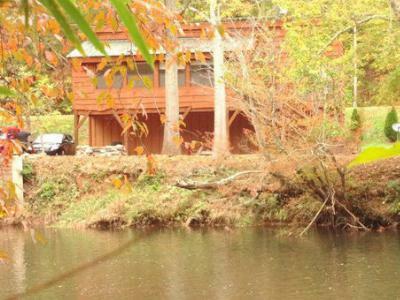 It's brand new with a private setting on Lake Emory. 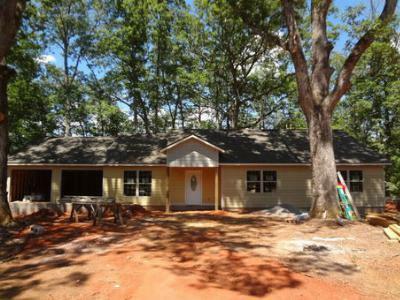 One level living with 3 Bedrooms, 2 Baths, Granite Counters and Hickory Cabinets throughout. Vaulted Tongue and Groove Ceiling in Great Room with Stack Stone floor to ceiling Fireplace. 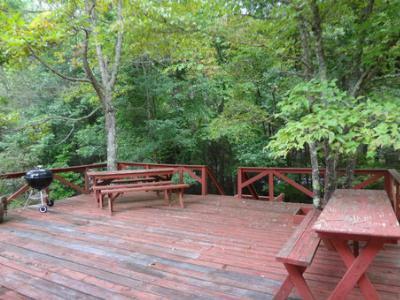 Huge Deck to enjoy the Lake Views and walking access to the lake which, I'm told, is the "best fishing" in this area. 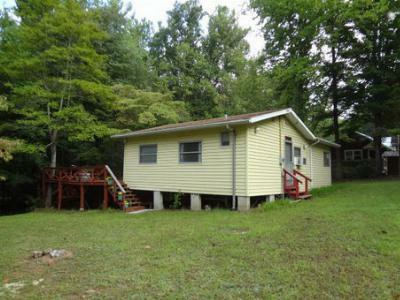 Less than 10 minutes north of Franklin, NC with easy access. The news is good! 348 homes were sold through Realtors in our market in 2012, compared to 310 in 2011. Cash Buyers are more the norm than in years past as 160 of the 2012 sales were purchased with cash. Land sales also saw a gain with 79 parcels sold and 13 commercial properties changed hands in 2012. Do not be lulled into complacency by comments from others about lackluster sales or a soft real estate market. Great Opportunities abound and the new year is a perfect time to re-access your situation and take advantage of them. 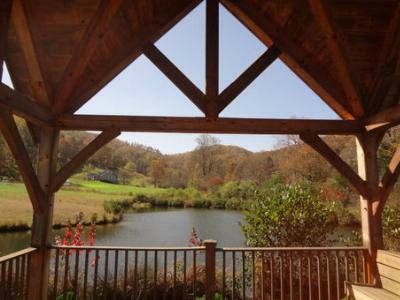 New Year's Resolution: A second or permanent home in the forever-beautiful mountains of western North Carolina. This is a resolution that is REALLY easy to keep. Call me and I'll help make it happen. Thank you for your referrals and business in 2012. May 2013 be your BEST year so far! I ask myself everyday "How may I serve?" instead of "What's in it for me?" I am blessed to live and work in the most beautiful and peaceful place on earth. God bless you. 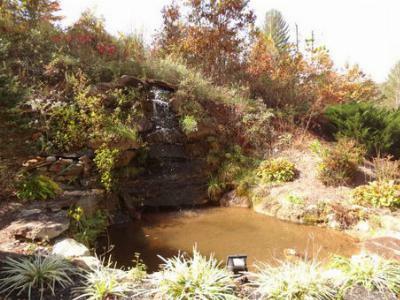 Premier lot in Brookstone Vistas with beautiful long range mountain and valley views. A great package with Community Water, Underground Utilities and 3 Bedroom Septic Permit---ready for your new home. 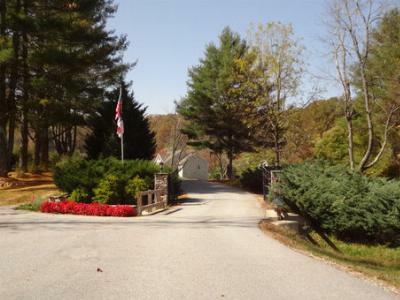 Very easy paved access and only 5 minutes from Franklin, NC in scenic Patton Valley. 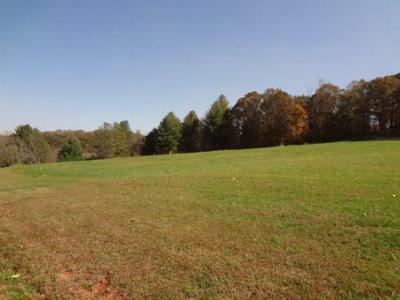 Possible Owner Financing on this 1.08 +/- Acre Parcel. Fall in the mountains this year was amazing! 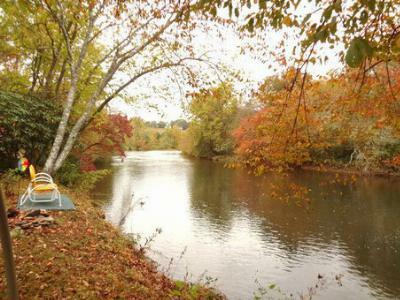 This gorgeous shot was taken 10/12/2012 in Otto, NC on Shope Creek. 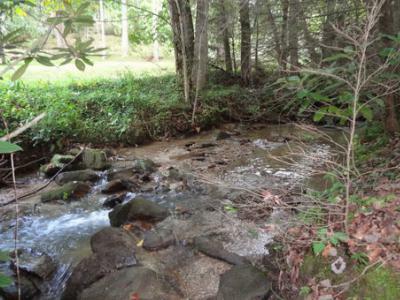 As I was taking photos of an adjoining development, Beech Hollow, that I just listed, all I could hear was the beautiful sound of rushing water. Being curious, I had to find the source. Away I went down an embankment and there, nestled among the mountain laurel and native rhododendrum was this beautiful waterfall. It was well worth the hike and became reason number 2,438 of why I love these Mountains! Remember to set your clocks back one hour November 4, 2012 and enjoy an extra hour of sleep! What's there to do in this area? 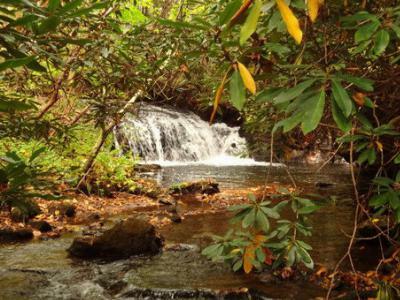 With over 51% of Macon County designated United States Forest Service, it is a haven for hiking, kayaking, fishing, tubing, hunting and a myriad of outdoor activities. Love to shop? This area has a wonderful variety of antique shops, including the Whistle Stop Mall, North Carolina's largest antique mall. Furnishing your mountain getaway? You'll find great Rustic Furniture at Watauga Creek Furniture. The 16th Annual Pumpkinfest was held October 20th in Franklin, NC. The town was bustling with costumes, crafters, music and wonderful food! The highlight....as always....was the Great Pumpkin Roll down Frogtown Hill. Hold on to your bladders as you'll laugh until you cry watching the video of this amazing event! Franklin and Otto was alive with Buyers and Sellers exchanging Real Estate this autumn. From the beginning of the year through October 29, 2012, 278 homes were sold as compared to 267 in 2011. Home prices are showing a slight upswing. The average 2012 price is $128,622 versus $126,913 for 2011. There are currently 657 homes on the market in Franklin and Otto. Wonder what your home or property is worth in this area? Give me a call for a Free Market Analysis: 828-226-1074 or visit my website www.FreeFranklinSearch.com and send me an email. I'd love to see your mountain property. Your friendship is truly appreciated. Enjoy your day. See you next month! Cabin fronts Rushing Walnut Creek...walk right in and get your toes wet! Nearly Flat yard, 50 foot walk to the Creek. Relax on the huge Deck and listen to the sweet sounds of nature. New Roof. 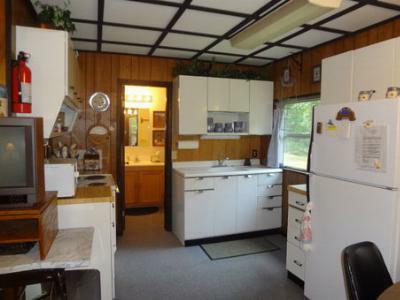 2 Bedrooms, 2 Full Baths, completely furnished...even the dishes and linens stay. Quiet area, , easy access but higher elevation for the cooler temps. If you are looking for a waterfront getaway priced for today's market---don't let this one get away! Schools servicing this area include East Franklin Elementary, Mountain View 5-6, Macon Middle and Franklin High School all within 20 minutes of this home.